Last night’s Married at First Sight finale drew a phenomenal national TV audience of 2.611 million (5 City: 1.968 million / Regional: 643,000), up 8.3% on last year’s finale which had overnight figures of 2.411 million (5 City: 1.761 million / Regional: 650,000), and achieving a Live VPM of 70,000 on 9Now (a record in the Australian BVOD space for entertainment programming). The reunion dinner party on Sunday night also delivered a massive audience of 2.447 million (5 City: 1.857 million/Regional: 590,000), with an additional 58,000 devices live streaming it on 9Now. For a second year in a row the program cemented its place as Australia’s No.1 TV show. Across all platforms Married at First Sight’s total cross-platform average audience (across consolidated 7, encore and rolling VPM) came in at more than 2.58m people per episode. “Married at First Sight has dominated the national conversation in a way no other TV show can,” said Hamish Turner, Nine’s Program Director. “We’ve again seen significant growth YOY in live linear across all the key demos, as well as live, digital and catch-up viewing through the 9Now platform where you have multiple episodes delivering averages of over 400,000 viewers." “Married at First Sight has dominated the national conversation in a way no other TV show can,” said Hamish Turner, Nine’s Program Director. “We’ve again seen significant growth YOY in live linear across all the key demos, as well as live, digital and catch-up viewing through the 9Now platform where you have multiple episodes delivering averages of over 400,000 viewers. Apart from the finale and final dinner party the most watched episode of the season was Episode 33, in which the scandal involving Jessika and Dan was revealed. Highlighting Married at First Sight’s true nature as a cross-platform juggernaut, this episode had an overnight audience of 2.27 million (5 City: 1.686 million / Regional: 585,000), and achieved a live VPM of 46,000. To date, the video-on-demand VPM has grown to 311,000. Since its launch in January, Married at First Sight has consistently dominated prime time viewing, winning its timeslot every time it aired. Throughout this season the program also delivered impressive television audience growth for Nine, particularly in the key demographics of 25-54s, 16-39s and Grocery Shopper with Child. 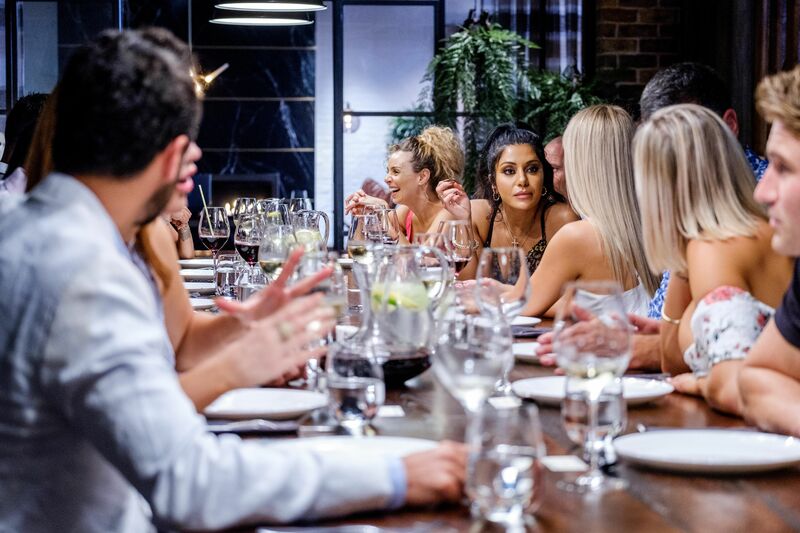 Commenting on Nine’s performance across these demographics, Michael Stephenson, Nine’s Chief Sales Officer, said: “Australia loves MAFS and so do our advertisers. We have had a record number of partners, sponsors and spot buyers in MAFS this year all of whom have taken advantage of the massive audiences that it delivers across every platform in all of the key demographics. Compared with this time last year, Season 6 is well ahead in terms of performance across digital, increasing significantly across all key VPM metrics. The total cross-platform average audience for season 6 of Married at First Sight (across overnight, time shift and rolling cume VPM) reached 2.582 million people for every episode. On Nielsen’s Social Content Ratings, Married at First Sight has seen the highest All Series social media activity of any major television program in 2019, with 6 million interactions across Facebook, Twitter and Instagram. Nine has also had tremendous results cross-platform: leading women’s website 9Honey reported significant growth in Married-related content, becoming the number one Australian lifestyle website in February, with Married at First Sight and other exclusive content driving audience figures to a record high of 3.8 million**. **Source: Nielsen Digital Content Ratings, Monthly Tagged, February 2019, Multi-category Family & Lifestyle sub-Category, Text, People 2+, Census. ***Source: OzTAM Metro Total TV & Regional TAM Regional FTA+WA. Overnight/Timeshift to 7. 01/02/2018-21/03/2018 & 30/01/2019-08/04/2019. "Talking Married" Total Individuals, 9Life (episodes 1 & 2 2019 Nine + 9Life). 5 City Metro & Combined Agg Markets. AUD.